Box Text: Vivi secondo il credo. Mi vendicherò di chi ha tradito la mia famiglia. Scoprirò una cospirazione che dura da secoli. Sono Ezio Auditore da Firenze. Sono un assassino. This is a list of VGCollect users who have Assassin's Creed II [IT] in their Collection. 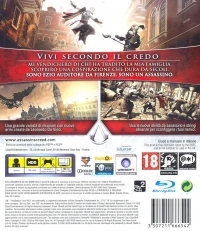 This is a list of VGCollect users who have Assassin's Creed II [IT] in their Sell List. 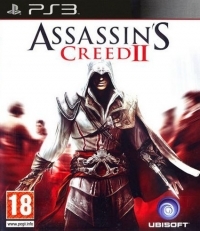 This is a list of VGCollect users who have Assassin's Creed II [IT] in their Wish List.